Knowing what lens to buy is only half the battle. 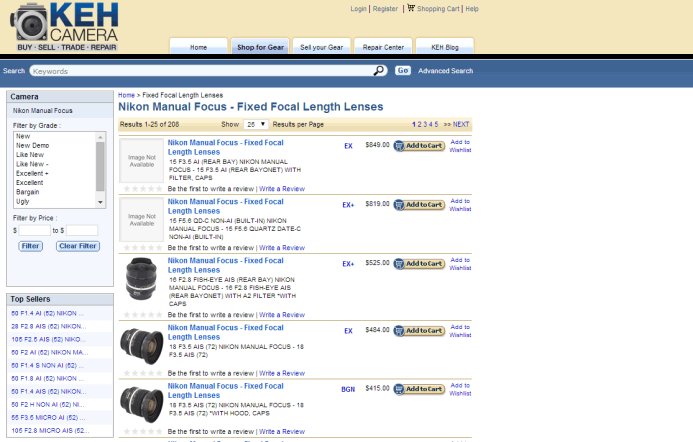 Knowing where to buy lenses is at least as important. Here are 5 of the best places to find the lenses you need. Selecting a vendor is so more much than getting the best price. Lens pricing is fairly consistent across the board, so what sets vendors apart is the additional value they provide, such as dependability, selection, and service. Let’s take a look at 5 of the best vendors for buying lenses for the Panasonic GH4 and discuss what sets them apart from the rest. Note: These vendors are USA-specific. If you live in another part of the world, let me know about the best vendors in your region so we can all know where to find lenses no matter where we are located. Amazon’s strongest asset is its reviews. Nearly any lens you’re interested in will have reviews from those who already took the plunge and bought the lens. This is great for learning about a lens’ unexpected issues before taking the plunge yourself. That said, you do need to consider the wide gamut of users who buy items on Amazon when reading the reviews, as a user’s experience or needs may not always reflect your own. I will usually start with the 1-star reviews to get a feel for what the most significant issues are with a lens. Then, I move up to reviews with higher ratings, realizing that a more critical eye is required as the stars increase. Amazon’s lens selection is good, offering both native and non-native lenses. However, as a primarily a consumer-focused vendor, more specialized or professional-grade lenses may be harder to source from Amazon. Reviews for Olympus 25mm f/1.8 lens — Even this new lens already has several thorough reviews on Amazon. B&H is a large and well-known vendor specializing in film and video production equipment. 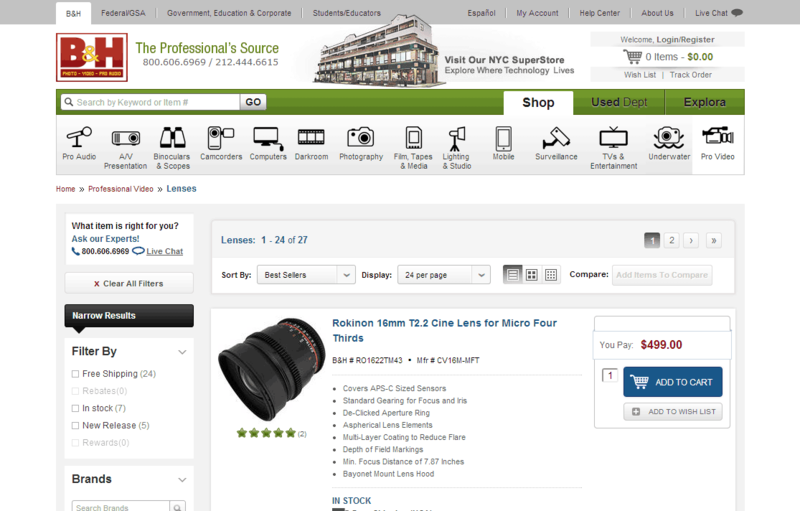 Many working professionals buy gear from B&H. As a result, while there may be less reviews for a particular lens, the reviews will often be from users who use the lens for professional applications. You still have to read the reviews with discernment, but you can generally expect that these reviewers are not newbies. This makes B&H a great place to get a “second opinion” when researching lens options. One of the other benefits of B&H over Amazon is that they actually have a physical address. You can go hands-on with lenses at their massive store in New York City, which can be helpful when you’re trying to decide if a lens will meet your needs. If you’re on the west coast, Samy’s is a brick & mortar vendor with a lens selection ranging from standard photographic lenses all the way up to professional cinema lenses. 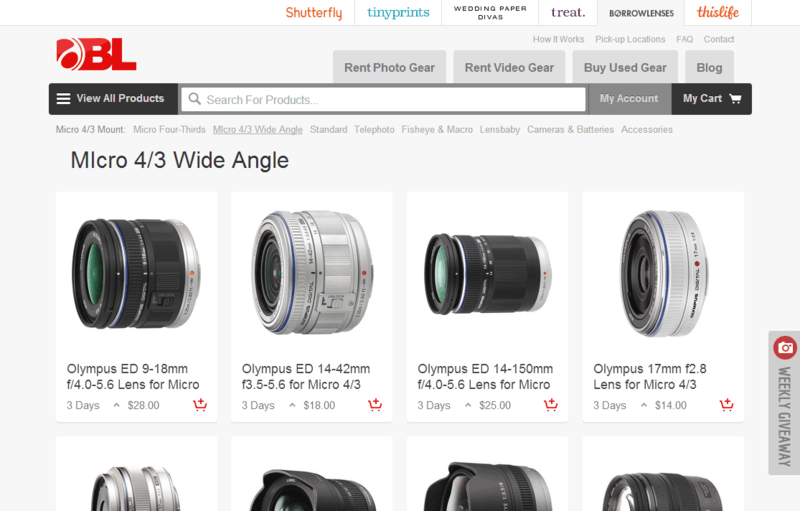 You’re not going to find nearly the same amount of reviews on Samy’s website as on Amazon or B&H, so the main draw here is their physical locations in California where you can check out a lens in-person before buying it. Experienced Micro Four Thirds users know how great eBay can be for finding unique lenses. Because adapting lenses for the MFT mount is so rewarding, users have been going to eBay to find great deals on legacy lenses for defunct lens mounts for years. 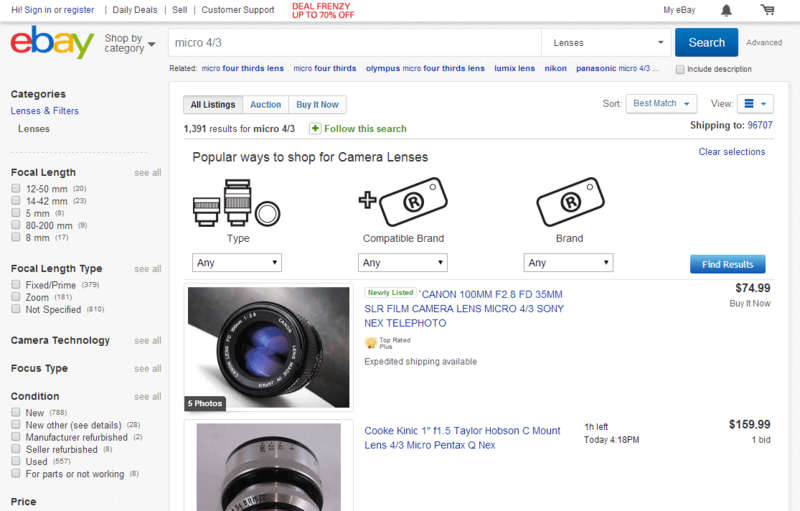 eBay is all about find those hidden gems that no one else thought about using on the GH4. Therefore, you should primarily be looking at legacy photography lenses on eBay, because that’s what you’ll find the best deals on. While native lenses are available on eBay, the real gems are lenses with legacy mounts like Nikon F, Canon FD, and C-mount. The main thing to remember when shopping on eBay is that everyone and their mom sells items on eBay. You need to do your due diligence before buying something to make sure that the seller has good ratings and that the item is in good condition. Like eBay, KEH is a great place to pick up some used legacy photographic lenses. The key difference though is that you are buying lenses directly from KEH, not random sellers from around the world. All used lenses sold by KEH are inspected and graded so that you know what condition a lens is in before you buy it. Lenses are priced according to their condition, so you’re less likely to discover hidden treasures on KEH. On the other hand, KEH provides a 6 month warranty on all used lenses. 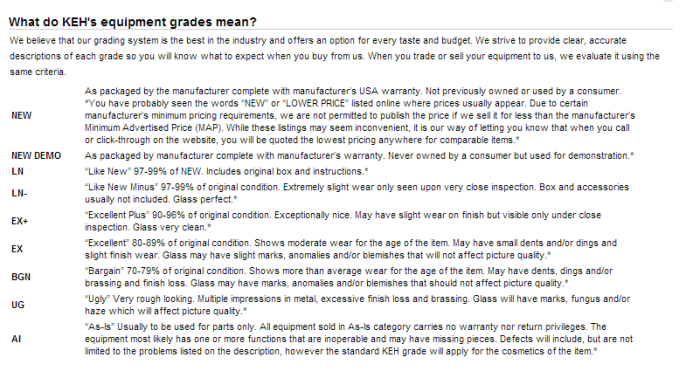 Try asking for that when you buy a used lens on eBay. Bottom Line: Go to eBay if you’re on a treasure hunt, go to KEH if you know what you want and you’re willing to pay a bit extra to get it right the first time. Bonus: Why Buy When You Can Rent? Here’s the thing– there are a lot of great lenses out there to use on the GH4, but you can’t justify (or afford) buying all of them. How can you use a lens without going all-in and buying it? The answer is lens rentals. Renting lenses is nothing new for those in the film & video production industry– it’s a great way to use a lens for a specific project without having to bear the ongoing cost of maintenance and storage. If you live in a city with a vibrant production industry, there are probably several great rental houses to choose from. 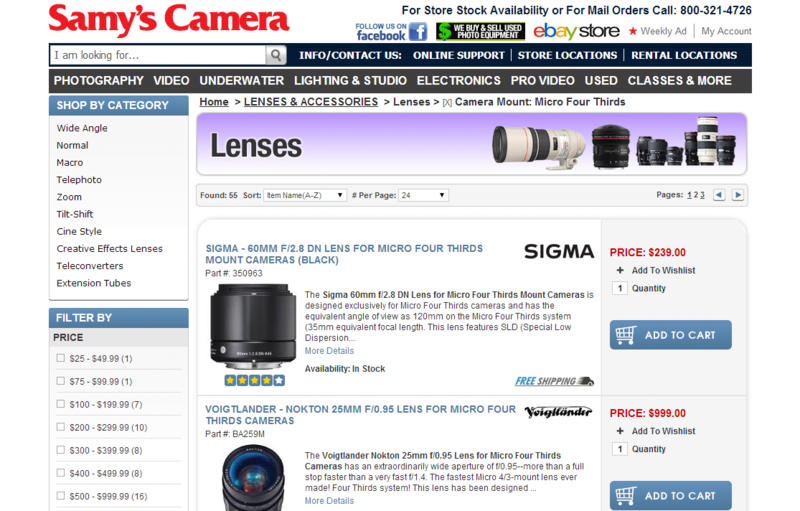 However, if you don’t live in such a town, several web-based vendors have sprung up to bring lens rentals right to your door. Pack lens in the box it arrived in and slap on included prepaid return shipping label. Lens rental prices generally seem to be around 10% of a lens’ full price for a 7 day rental. For example, the Sigma 18-35mm f/1.8 lens (retail: $800) costs $80/7 days. However, there are also exceptions such as the Olympus 12-40mm f/2.8 (retail: $1000) which costs $52/7 days. The daily rental rate decreases as the rental period increases, so you get a better deal the longer you rent the lens for. Shipping appears to be the same regardless of destination which is nice, and starts at $25/lens. Shipping costs are based on the full order, not per-item, so shipping for 1 lens might be $25 while shipping for 2 lenses may cost $30. 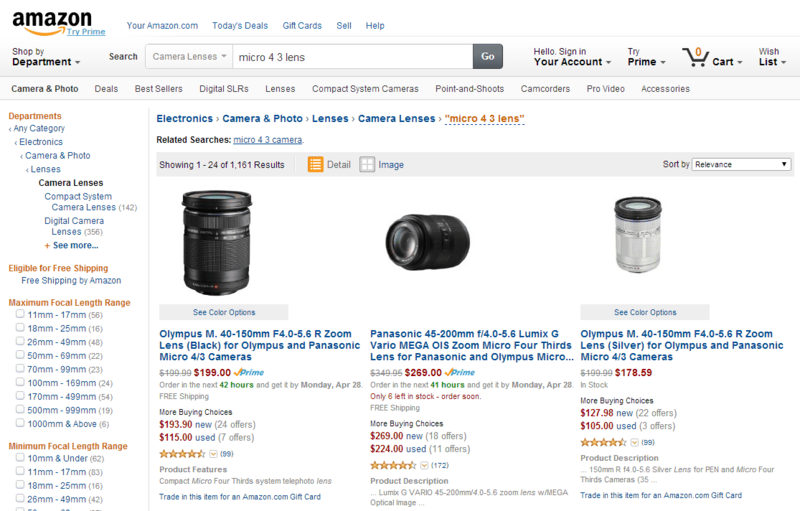 Lens rental prices and selection are very similar to BorrowLenses. However, there are some interesting pricing differences such as the Sigma 18-35mm f/1.8 (Nikon) that costs $57/7 days compared to $80/7 days at BorrowLenses. Shipping costs are also very similar to BorrowLenses, starting at $25 for one lens, $30 for 2 lenses, etc. Considering all the similarities between these two rental houses (selection, pricing, rental process, etc. ), I’m very interested to see what differentiates one from the other. The nice thing is that both vendors make it easy to select and rent lenses online, so I will be testing both services and sharing my experiences in future posts. 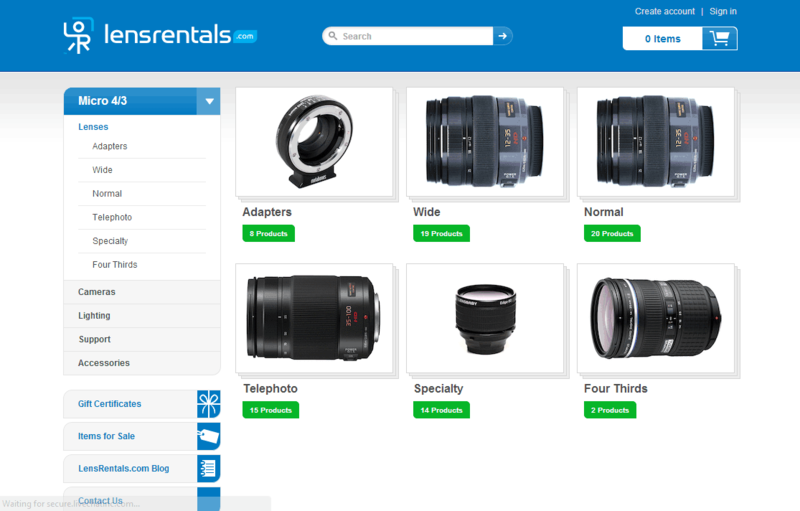 There you have it– whether you’re looking for native, non-native, new, or used lenses, you now know about several vendors where you can research and buy lenses from. Do you have a favorite vendor for buying lenses? Let me know, I’d love to hear about them.